After the humiliating events on the 4th of July, Gemma's trying to grapple with the fact that Hallie knew her true identity all summer, and that she was the one who stole Teddy from her.Gemma vows revenge, but things immediately get more complicated than she planned. Her dad forces her to get a job, and the only one she can find involves scooping ice cream all day. Ford, Gemma's longtime crush, has arrived in the Hamptons, and is cuter than ever. Josh is refusing to speak to her after finding out she lied to him. And to top it all off, Teddy is back in the picture, and closer to home than Gemma would like.Gemma and Hallie find themselves locked in an escalating revenge cycle involving everything from strawberry syrup to stolen identities. But just when Gemma thinks she has the upper hand, the biggest bombshell of all is dropped. And it's one that threatens to change her life forever. 9781250045256 | Feiwel & Friends, May 5, 2015, cover price $17.99 | About this edition: After the humiliating events on the 4th of July, Gemma's trying to grapple with the fact that Hallie knew her true identity all summer, and that she was the one who stole Teddy from her. 9780373710829, titled "Maggie's Guardian" | Harlequin Books, September 1, 2002, cover price $5.25 | also contains Maggie''s Guardian | About this edition: Noah and Tessa Gabriel-once they were in love, happy, married Of course, that was then. In Broken Hearts, Fences and Other Things to Mend by Katie Finn, Gemma had her summer all planned out, but it takes sharp turn when she gets dumped and finds herself back in the Hamptons after a five-year absence. Being there puts her at risk of bumping into Hallie, her former best friend (that is, before Gemma ruined her life). But people don't hold grudges forever. Do they? Gemma intends on making amends, but a small case of mistaken identity causes the people she knew years agoâincluding Hallie and her dreamy brother Joshâto believe she's someone else. As though the summer wasn't complicated enough already. Can Gemma keep up the charade? Or will she be found out by the very people she's been hiding from? 9781250045249 | Feiwel & Friends, May 13, 2014, cover price $17.99 | About this edition: In Broken Hearts, Fences and Other Things to Mend by Katie Finn, Gemma had her summer all planned out, but it takes sharp turn when she gets dumped and finds herself back in the Hamptons after a five-year absence. 9780373710553, titled "Fleet Hospital" | Harlequin Books, April 1, 2002, cover price $4.99 | also contains Fleet Hospital | About this edition: "At Camp Pendleton near San Diego, Fleet Hospital is conducting a simulated emergency under the command of Captain Michael McLowery. 9780545211284 | Point, July 1, 2011, cover price $8.99 | About this edition: Madison MacDonald is glad things are back to normal! 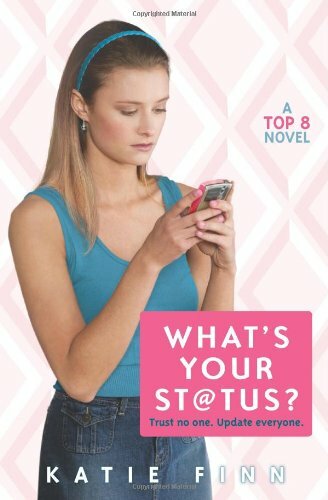 9780545211277 | 1 edition (Point, July 1, 2010), cover price $8.99 | About this edition: This fabulous social-networking mystery, a sequel to TOP 8, is the perfect novel for the Facebook generation. 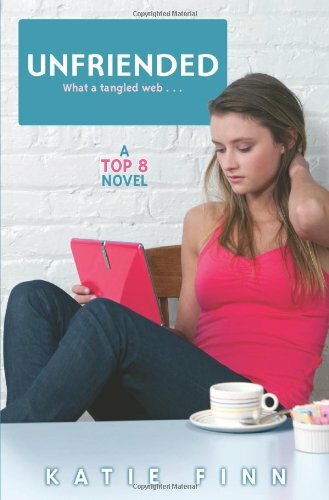 9780545053624 | Point, October 1, 2008, cover price $8.99 | About this edition: Social networking sites are THE place to be for today's teens -- this fun, juicy novel explores the ups, downs, and scandals of a group of friends online! 9781439598474 | Reprint edition (Paw Prints, April 9, 2009), cover price $17.99 | About this edition: Social networking sites are THE place to be for today's teens -- this fun, juicy novel explores the ups, downs, and scandals of a group of friends online!